General Baker is a Detroit activist. he is married to Marian Kramer. General Baker was born on September 1, 1941 soon after his parents moved to Detroit from Georgia so that his father could work in the automobile industry. Baker graduated from Southwestern High School in 1958 during an economic recession and was unable to find steady work until 1961. General Baker, also 72, passed away in Michigan May 18 2014 after a lifetime of in-your-face, “no justice, no peace” actions that inspired workers to stand up and fight against the kicking they were getting from fat-cat industrial bosses in the plants where they worked, and class-based exploitation in the communities where they lived. As one friend put it, from his first arrest at a 1963 protest for “disturbing the peace,” he made that charge his life’s work. He had been protesting Detroit’s bid to host the Olympics when the city was refusing to combat its own extensive housing discrimination. In the 1960s Baker was in constant motion, working, teaching and learning with students, community activists, workers and anyone else seeking a fairer and more just future than the one offered by profit-seeking capitalists. He spent a summer in Cuba studying with revolutionaries from all over the world and moved from the Black Nationalist thinking of his student days to a deeper understanding of the class-based economic oppression that created slavery and has always been at the heart of the U.S. economic system. And he was always eager to shout out against injustice, and to share what he was learning with others. “The prior organizing done in the plants, papers, pool halls, schools, bars and communities of Detroit began to pay off, as people searched for more radical and militant vehicles to confront racism and economic oppression. When Baker formed the Dodge Revolutionary Movement (DRUM) after the initial wildcat, he did so with rapidly growing in-plant and community support. “Student activists formed affiliates that reached all the way down to the elementary schools, and helped distribute leaflets and papers at the plants. Allies in an array of grassroots organizations mobilized against racist urban renewal policies, slumlords and substandard housing, police brutality and racism within the building trades unions. “Black workers in other plants and industries also began following DRUM’s lead, organizing an assortment of their own revolutionary union movements (RUMs) and wildcats to fight against racist employers and company unions. 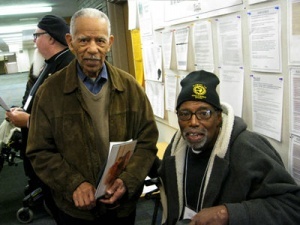 To coordinate this activity, the League of Revolutionary Black Workers (LRBW) was formed, with General Baker, Mike Hamlin, Ken Cockrel, Chuck Wooten, Luke Tripp, John Watson and John Williams comprising the Executive Committee. The many ways in which Baker and his wife of 35 years, Marian Kramer, moved ordinary people to action meant that when he died, the group they considered their extended family numbered thousands, including students, labor activists, Black Power movement allies, socialist and communist activists, groups involved in welfare rights and housing rights, community activists and advocates for Single-Payer Healthcare. During the early 1960s Baker attended Wayne State University where he became involved in black nationalism and left wing politics. He studied the writings of Karl Marx and developed an ideology that combined the tenets of socialism with black nationalism. In 1963 Baker was arrested for booing the National Anthem as a protest against the Detroit City Council's failure to pass an open housing ordinance. He was acquitted of the disturbing the peace charges. In 1964 he traveled to Cuba where he studied the Marxist government of Fidel Castro. After returning to Detroit, Baker went to work at the Dodge Main plant in Hamtramck. In 1965 he was drafted into the army but refused to be sworn as a protest to the Vietnam War. He expected to be tried and put in jail but was declared a security risk and released. During the 1960s workers at the Dodge Main plant faced a speed-up on the production line. Baker and other leaders increased their criticism of Dodge and the United Auto Workers Union and on May 2, 1968 led workers out on what would be the first of many wildcat strikes called without the sanction of union leadership. Baker was fired from his job and blacklisted from employment in the auto industry after being identified as one of the leaders of the strike. 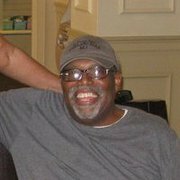 He did not work in the industry again until 1973 and then only by getting a job under a false name at the Ford Motor Company Rouge plant. Erroll McLeod, Oilfields Workers Trade Union. In March 1998 “Endorsers of the Call” to found a Black Radical Congress included General Baker, Auto Worker, Detroit. Circa 2014 General Baker was part of Speakers for a New America, the speakers bureau for League of Revolutionaries for a New America. This page was last modified on 22 January 2019, at 00:14.